A 6.8 magnitude earthquake struck the central Philippines on late Monday morning killing at least 13 people, official reports say. The death toll includes at least two children, according to the government’s National Disaster Risk Reduction and Management Council (NDRRMC). The quake hit 70 km north of Dumaguete city on Negros island at 11.49 (03.49 GMT) at a depth of 20 km, according to the US Geological Survey. Two aftershocks with a magnitude of 4.8 and 5.6 followed. Dozens of people have also been reported as still missing. Search and rescue operations are currently ongoing in areas where houses and buildings had collapsed due to landslides. The Philippine Institute of Volcanology and Seismology issued a tsunami alert for the area, but had lifted it by 14.30. 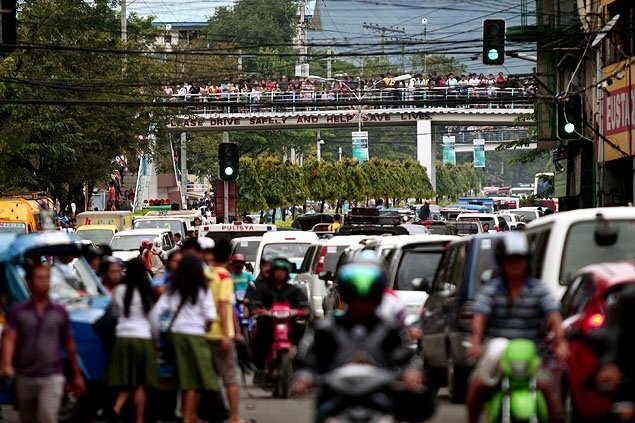 The late morning quake in the Negros and Cebu region had caused panic in nearby cities, with people rushing out of schools, malls and offices. Officials in some areas suspended work and cancelled classes. A child was reportedly crushed to death by a collapsed wall in Tayasan town in Negros, Benito Ramos, NDRRMC chief told reporters. Buildings in the cities of Cebu and San Carlos shook violently and sustained damages such as broken windows and cracks on the walls, he added.